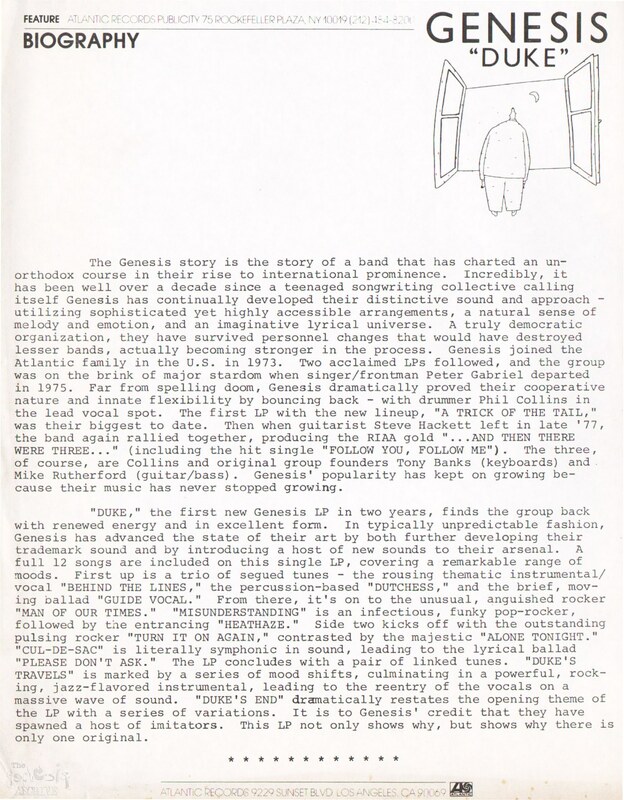 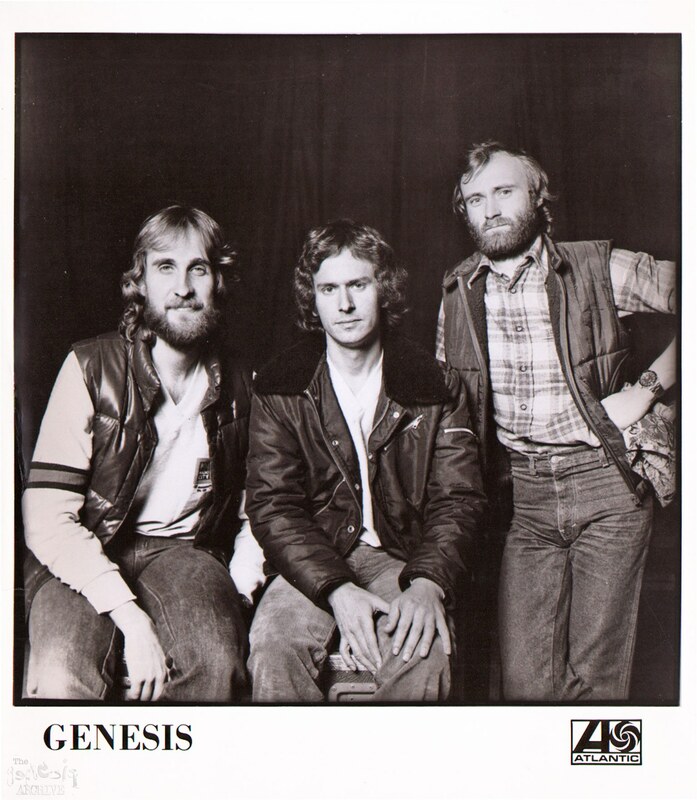 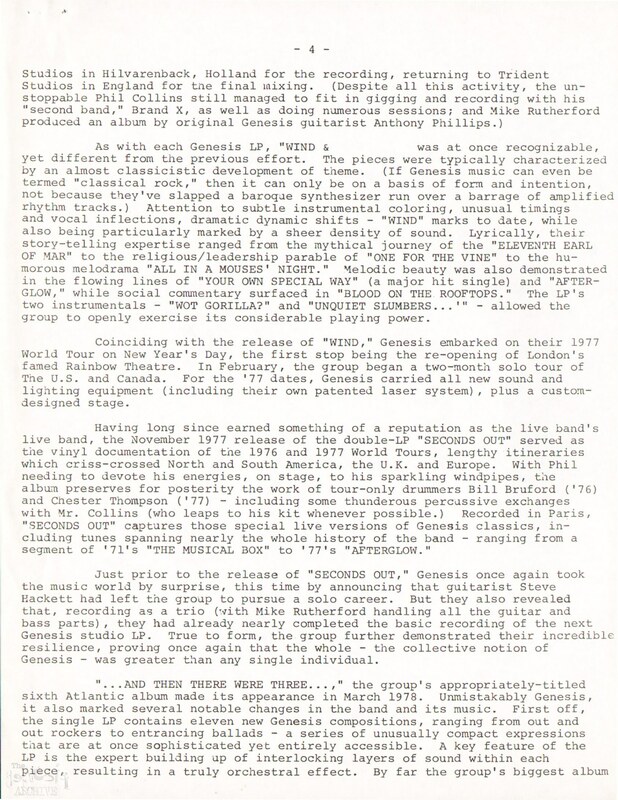 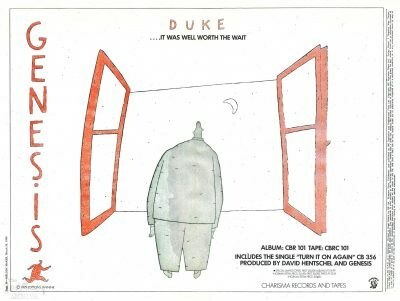 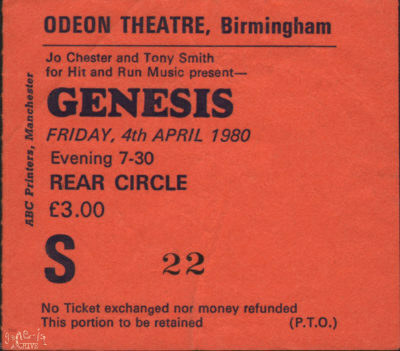 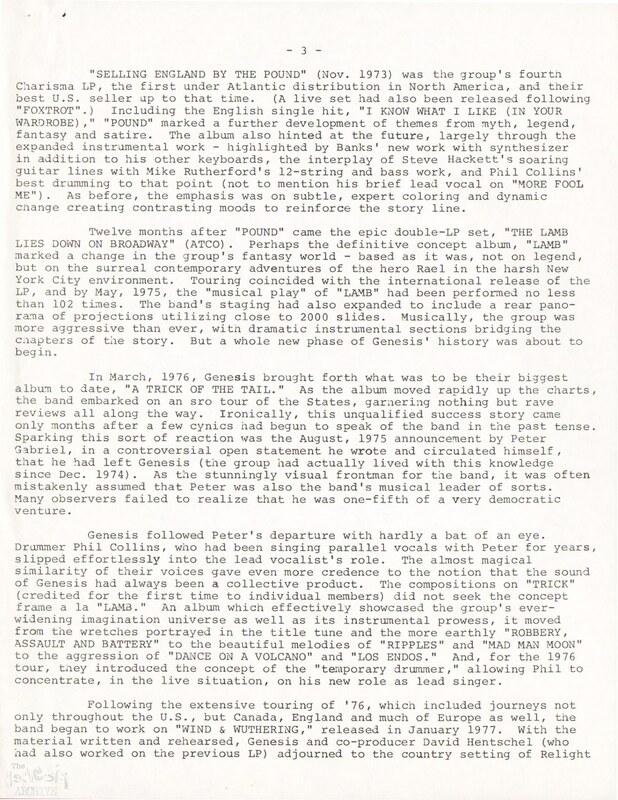 This is the press kit for the 1980 Genesis album DUKE album. 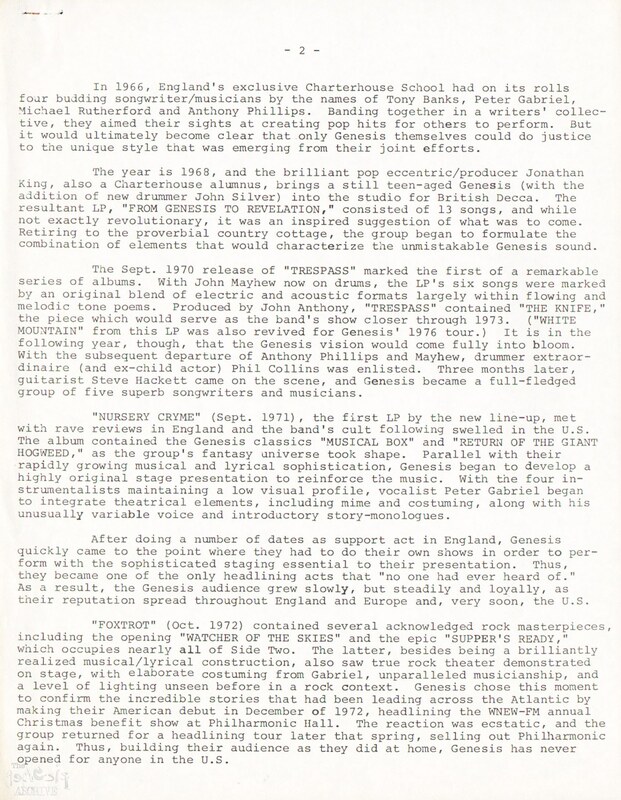 This particular press kit was complied and issued by Atlantic Records (USA record label). 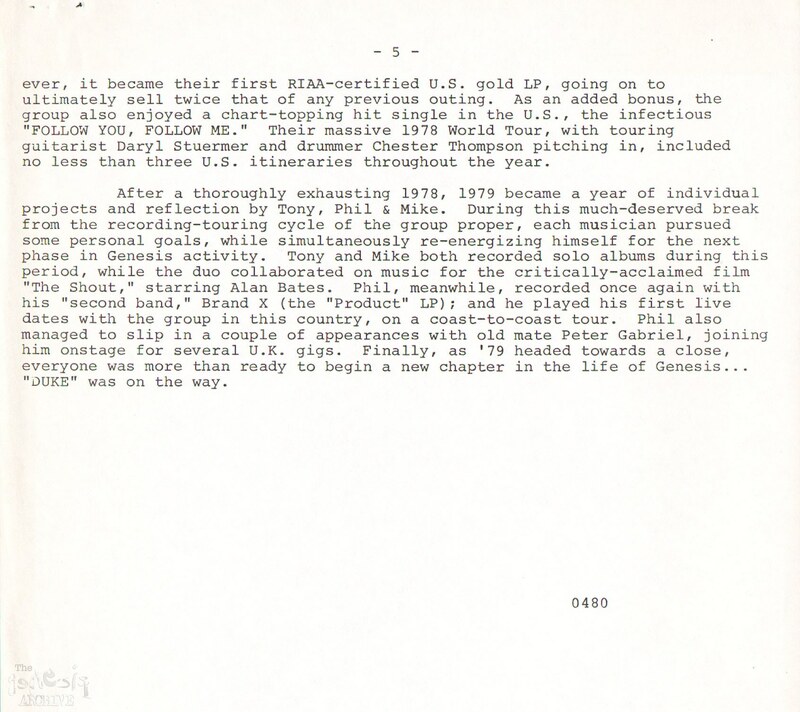 With an 8 x 10 inch photo of Mike, Tony and Phil accompanied by 5 pages of text this is an informative press kit.